LBA supports Costain/Skanska in key positions of Engineering Manager, Design Manager, LU Interface Manager and Instrumentation and Monitoring Manager within the project team. During the preconstruction ‘Optimised Contractor Involvement’ (OCI) phase, LBA advised on constructability and construction sequence and associated temporary works as well as the establishment of the required monitoring regime. The Holmesdale Tunnel, adjacent to Junction 25 of the M25 London orbital motorway (junction with A10), was opened in 1984 and whilst the structure remained sound, it suffered from decaying and time-expired mechanical and electrical equipment. 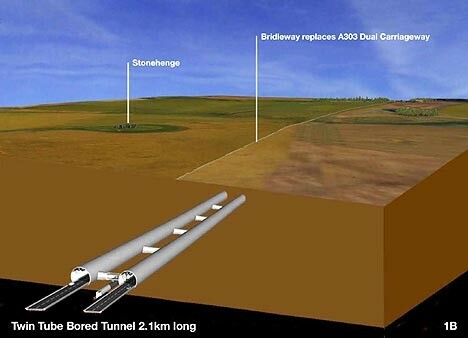 A major refurbishment was required to bring the tunnel up to British and European safety standards. At the same time, the eastbound M25 through junction 25 was widened to 3-lanes, with an additional lane each way through the tunnel created by the removal of raised walkways/cable ducts along the central and outer walls. 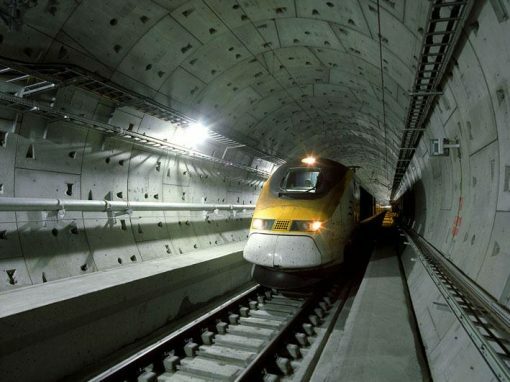 The tunnel refurbishment included these civil and highway works and the associated renewal of drainage and cable routes, the reconstruction of the tunnel central wall and impact protection to the outer wall, as well as a complete replacement of all mechanical and electrical equipment. 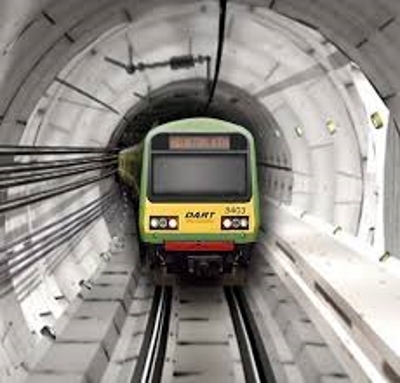 The tunnel interior was coated with a spray-applied passive fire protection coating, providing the structure with a minimum 3-hour protection in the event of a fire – the first such application in a major UK tunnel. 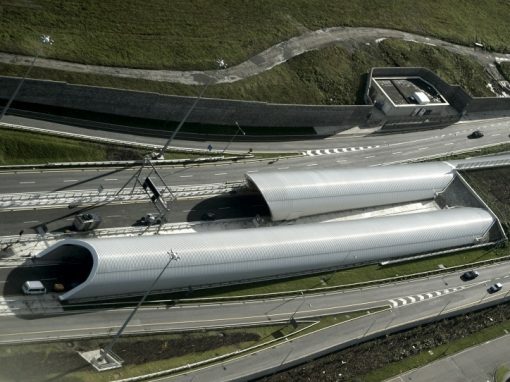 In addition, new 34m long extensions to the tunnel entrances were constructed to house new fan stations with Saccardo nozzles for pollution and emergency ventilation – again, the first use of this technology in a UK highway tunnel. 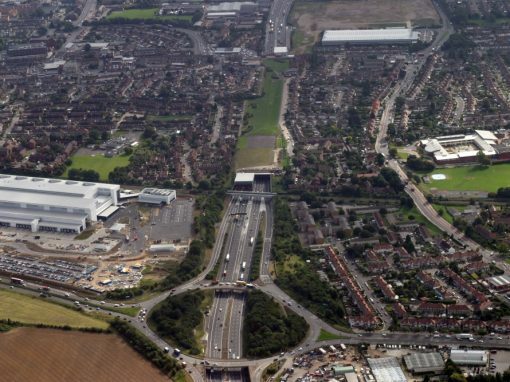 To achieve the refurbishment safely and economically, it was necessary to close two of the Junction 25 slip roads and to operate one bore at a time in contraflow whilst refurbishing the other. 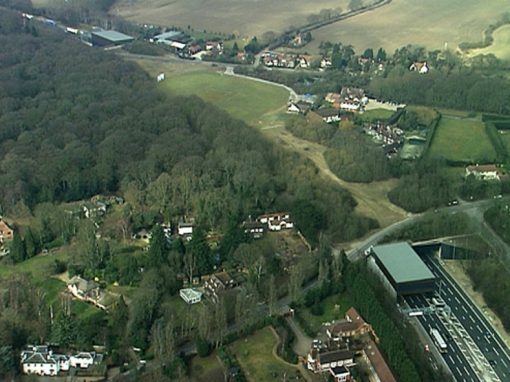 This had the potential to create enormous disruption to the M25 traffic and the traffic on the surrounding roads, one of which supplies the largest trading estate in Europe. 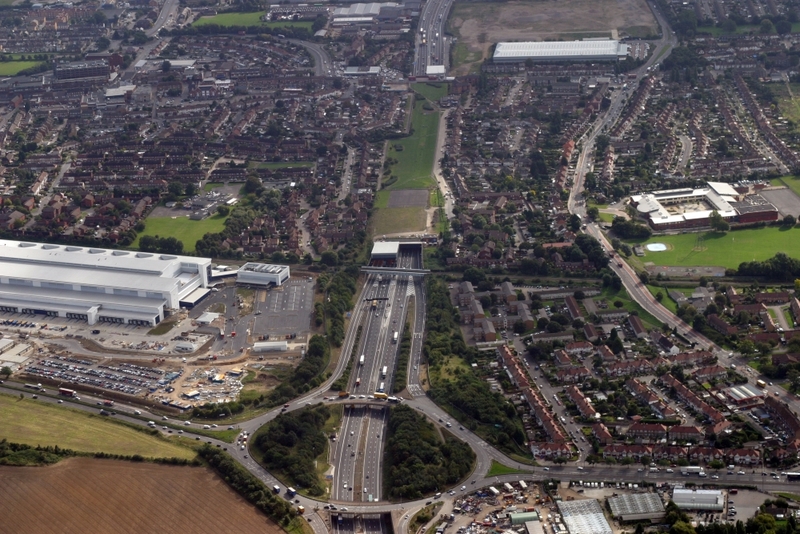 The project was awarded under the Highways Agency Early Contractor Involvement scheme and was a Design and Build Target Cost reimbursable project. This facilitated collaborative working and an integrated team with the employer, the employer’s agent, the contractor and the contractor’s designer all in one office adjacent to the site. 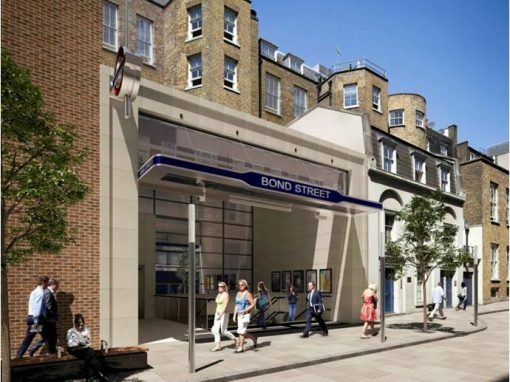 London Bridge Associates provided a number of senior personnel who worked within the integrated Costain Capita Symonds team during their successful quality bid preparation and submission in early 2005. 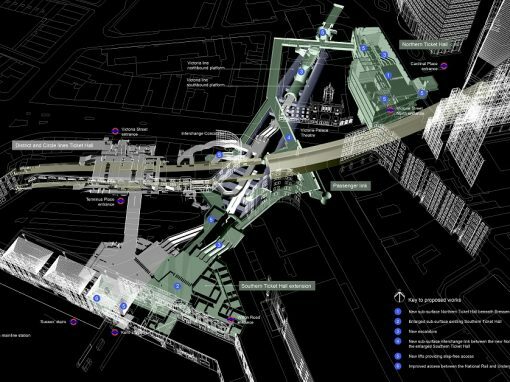 Following award, the team continued with the development of the outline design and target cost, taking this through detailed design, including a number of extensive value engineering phases. 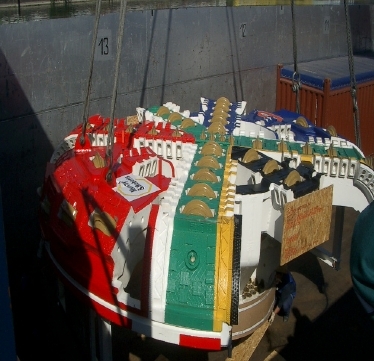 The LBA team continued into management of the construction works from May 2006 to September 2007, and thereafter commissioning and final handover. The secret of the project’s success was the bringing together of various capable people into a fully integrated team focused on building a project on time and to budget, and aligning their targets to the Client’s requirements (based around ‘safe roads, reliable journeys, informed travelers’). 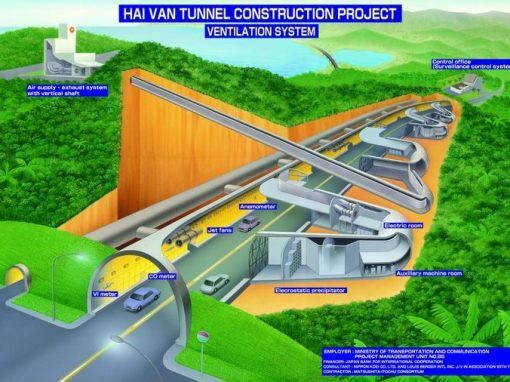 The LBA personnel included the Project Director, Construction Manager, Tunnels Agent, and a number of other engineering staff. 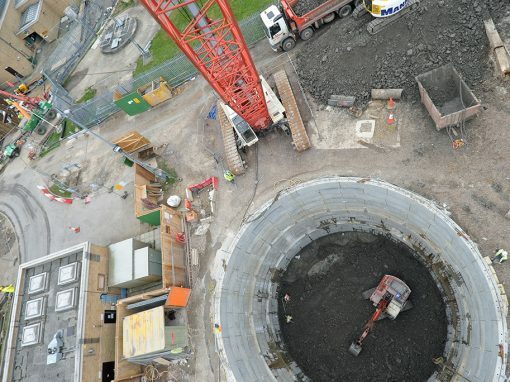 In addition, LBA provided an experienced Tunnel Fire Safety Advisor to guide the project team through the tunnel operating and emergency procedures for the temporary traffic management phases and the final permanent works. 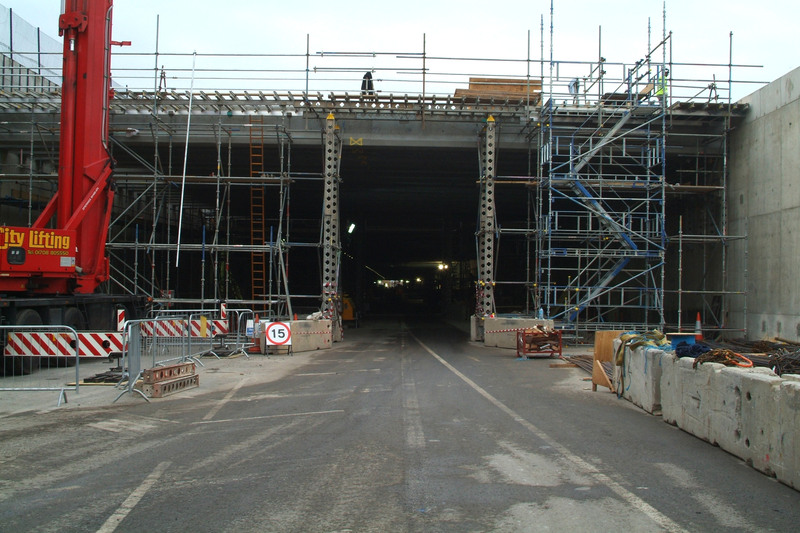 The project was completed 3 months early, and to budget, had a zero reportable accident record with 1,900,000 man hours accident free, won the 2007 HA “making safety happen” award, and was independently rated in 2007 as the best managed major roadworks scheme in the UK and the second best in Europe. A very proactive stakeholder relations programme, combined with a continuous improvement approach to the traffic management (which included providing an additional traffic lane for most of the project and shortening the scheme length), managed the perceived traffic problems in the surrounding roads. 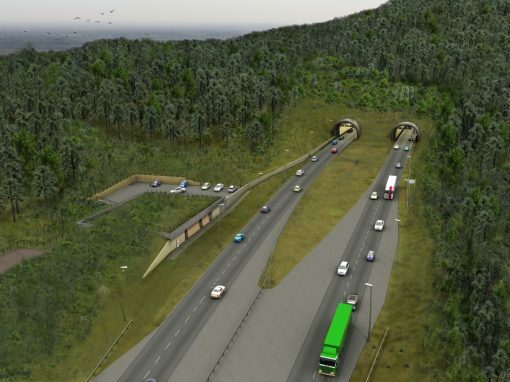 The project set itself ambitious targets in respect of road user care including in road accident reduction, breakdown response, average journey times, and night closure-off times. The team also initiated the now widely used variable message signs to provide customer information. A local control room was established to manage breakdowns and emergencies through and near to the works, and substantial emergency planning and training was undertaken. Following refurbishment a full emergency exercise was carried out.